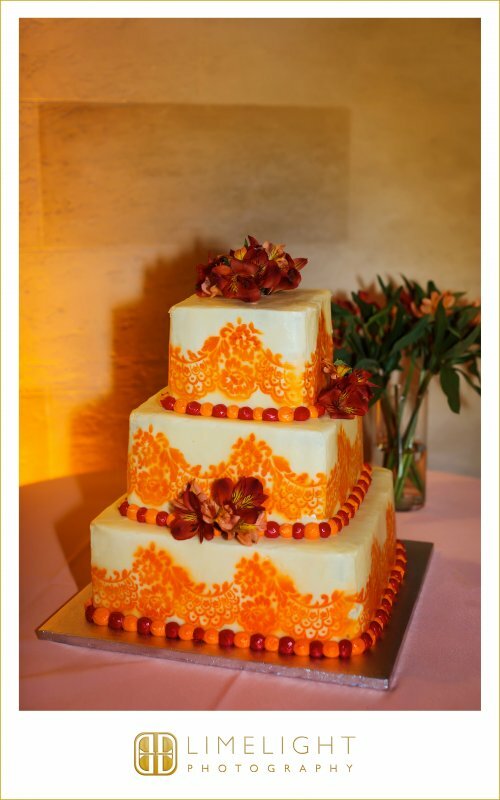 This is elegant and colorful wedding was held at the Powel Crosley Museum. 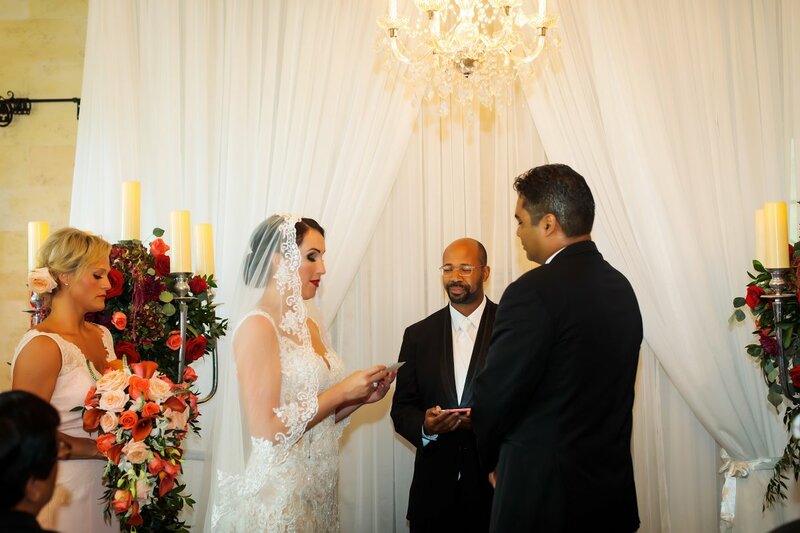 While the ceremony and reception were originally planned to be held outside, due to the weather it was moved indoors. 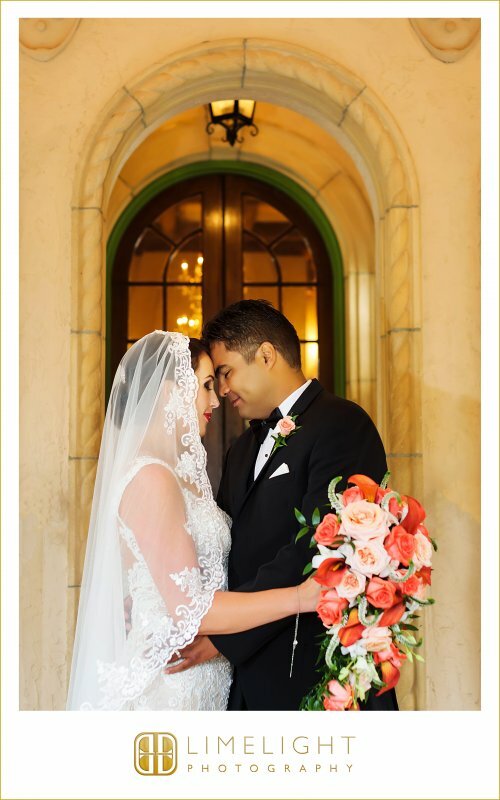 And it was no LESS beautiful. 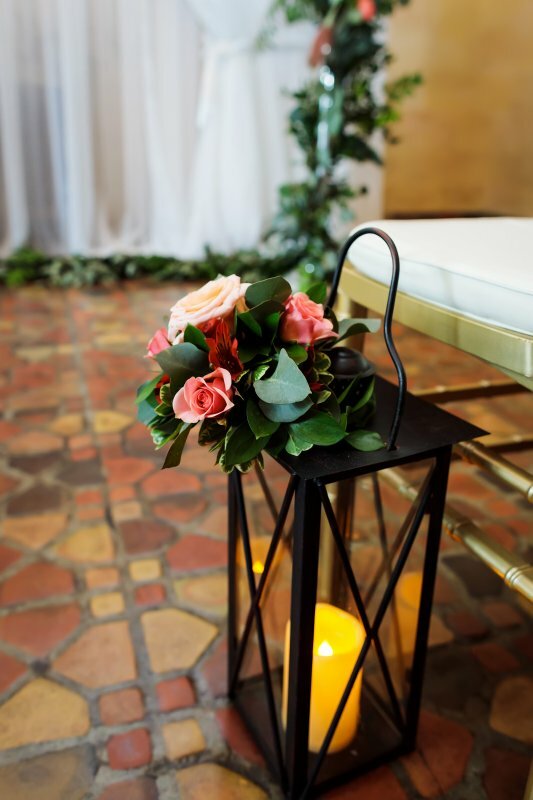 We often have a “plan B” for outdoor weddings, so no detail is left unattended and the bride and groom can rest easy. 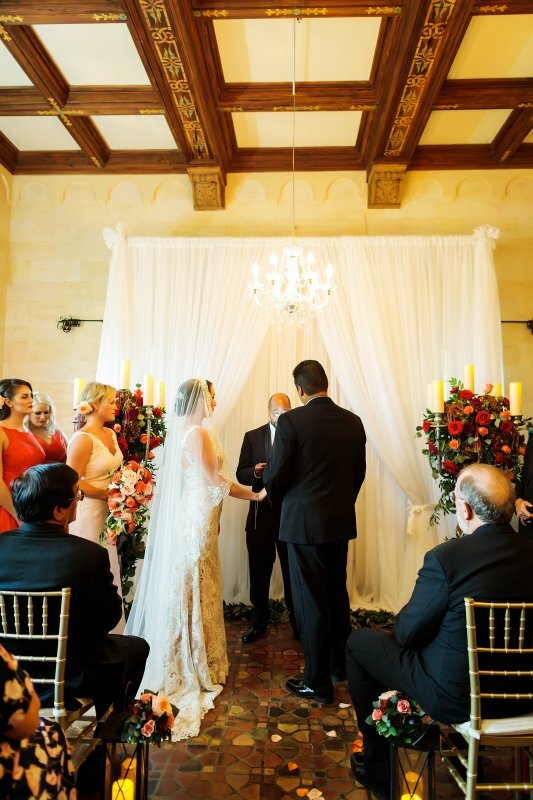 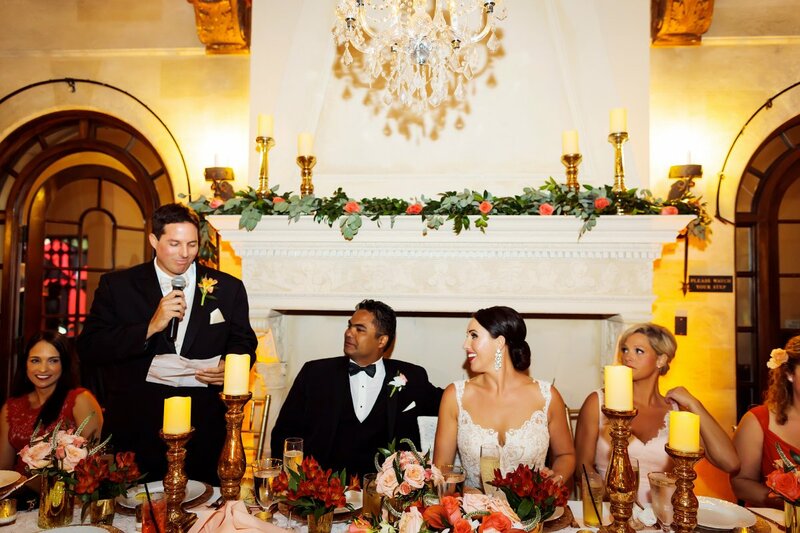 This lovely couple was wed in the gorgeous library room and a lovely sheer draping on the back wall and chandelier were used from Affairs in the Air to designate the ceremony site. 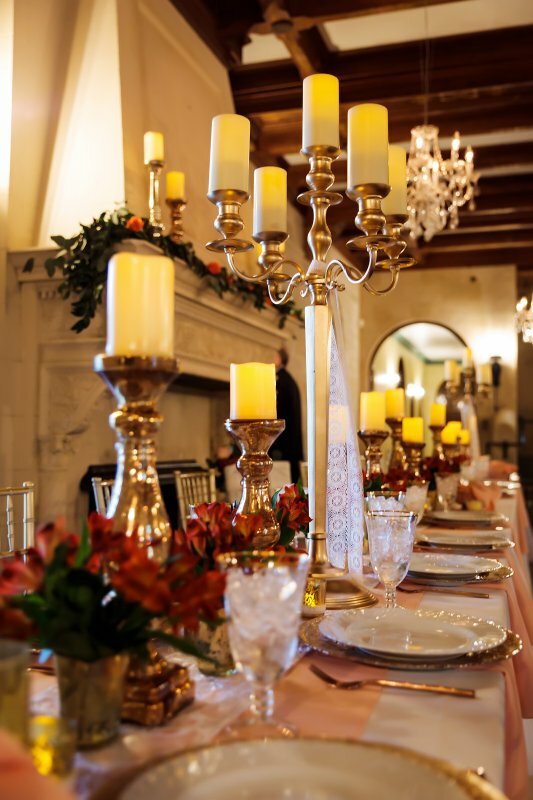 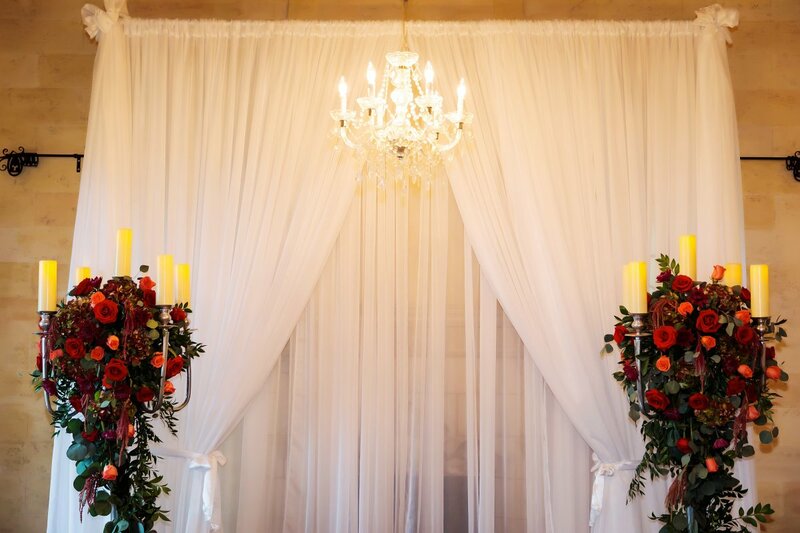 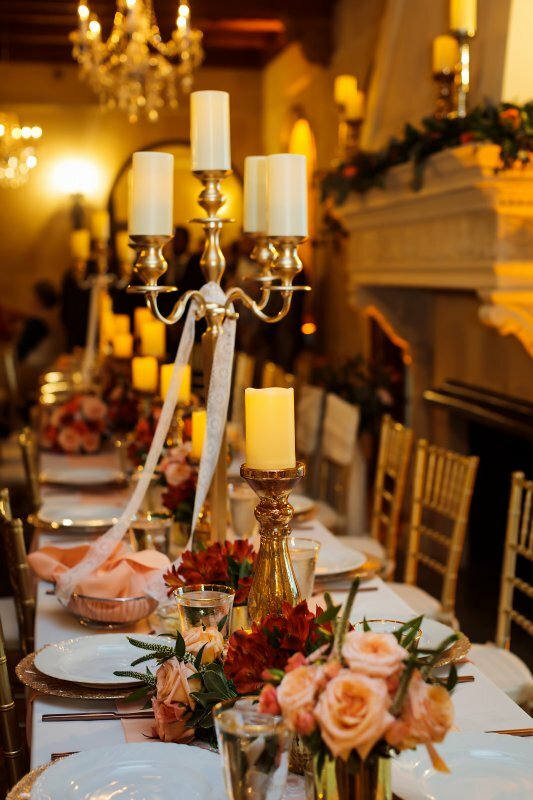 We framed the couple with 2 dazzling candelabras with lush trailing coral and red flowers and greens! 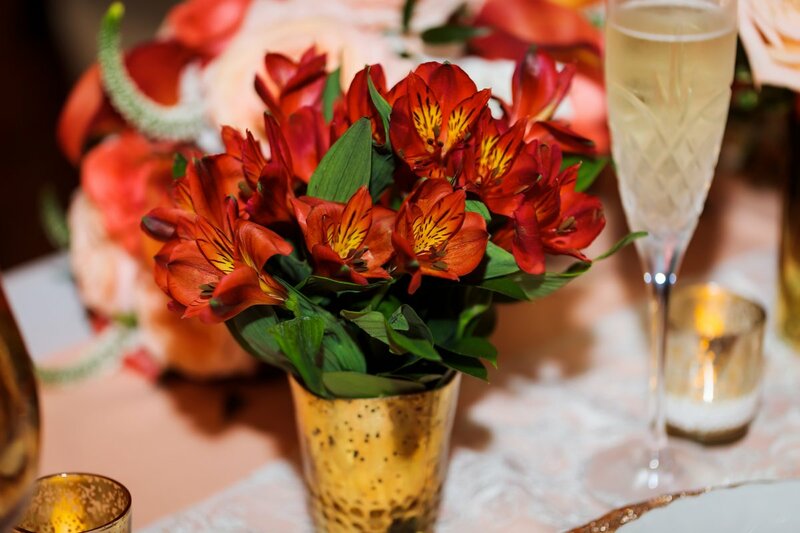 The groom is from Peru and the bride wanted to bring in a sort of Peruvian-feel in color, so we used lots of red—plus she wanted to include Peruvian Lilies or what we call, alstroemeria. 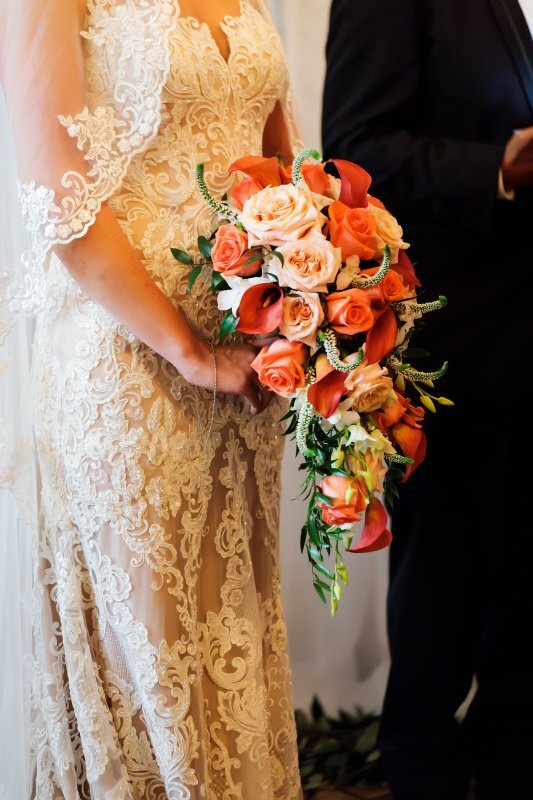 It was a breathtakingly beautiful palette of colors filled with reds, corals, and peach tones! 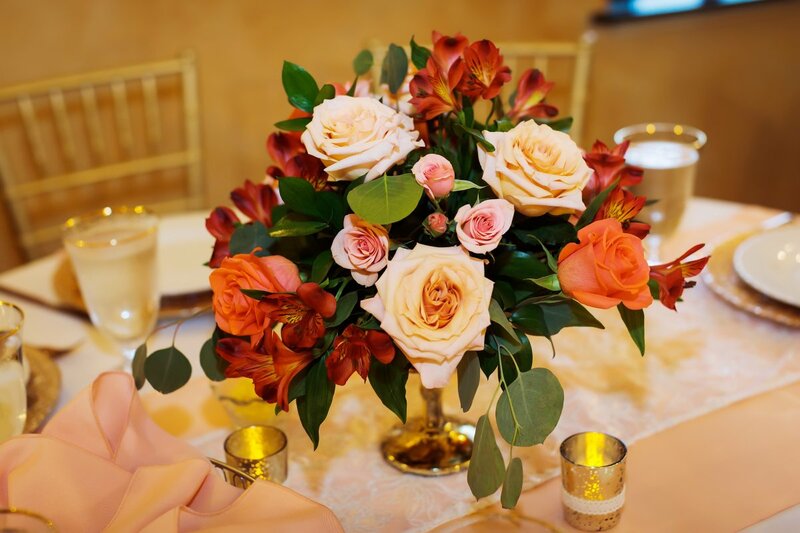 Pops of color were everywhere and added a rich elegance to the event! 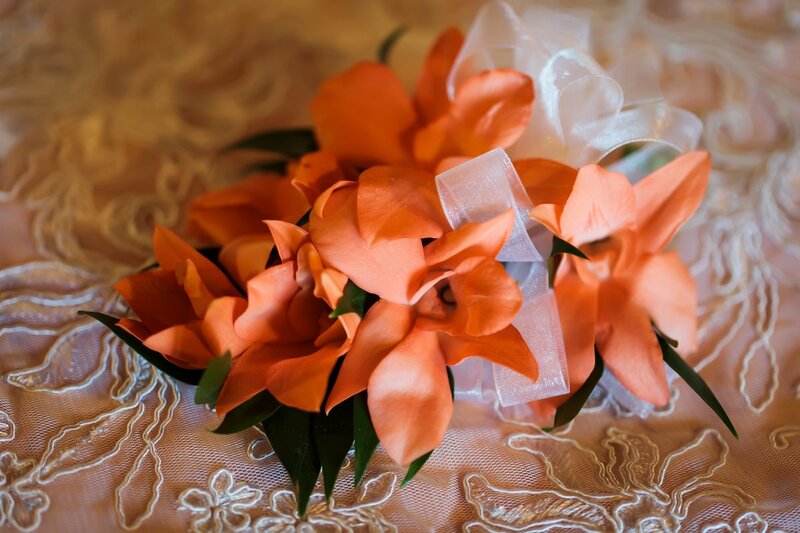 The bride wanted a trailing bouquet which included red mini calla, shimmer garden roses, coral roses, and orchids. 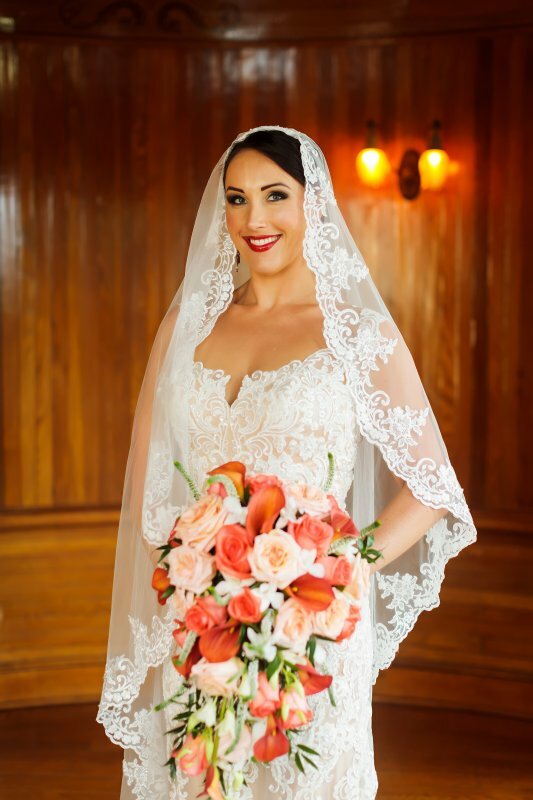 We believe we created a showpiece for her and it was just so beautiful as she carried it down the aisle. 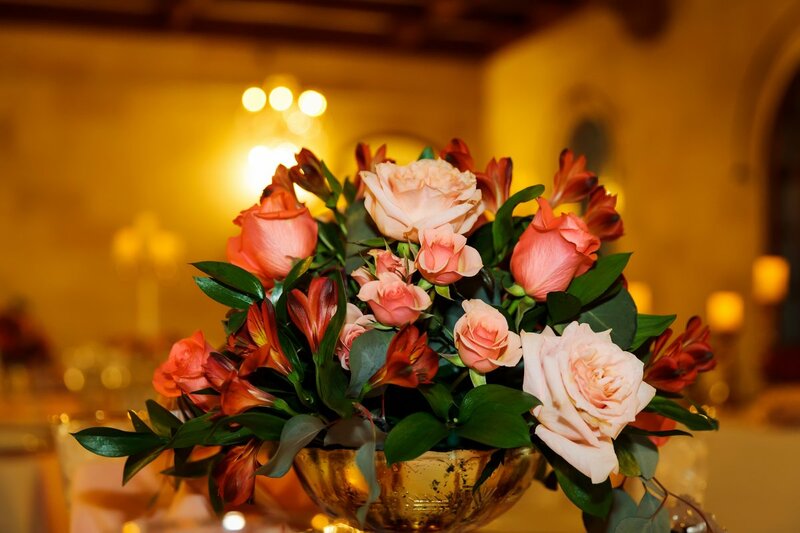 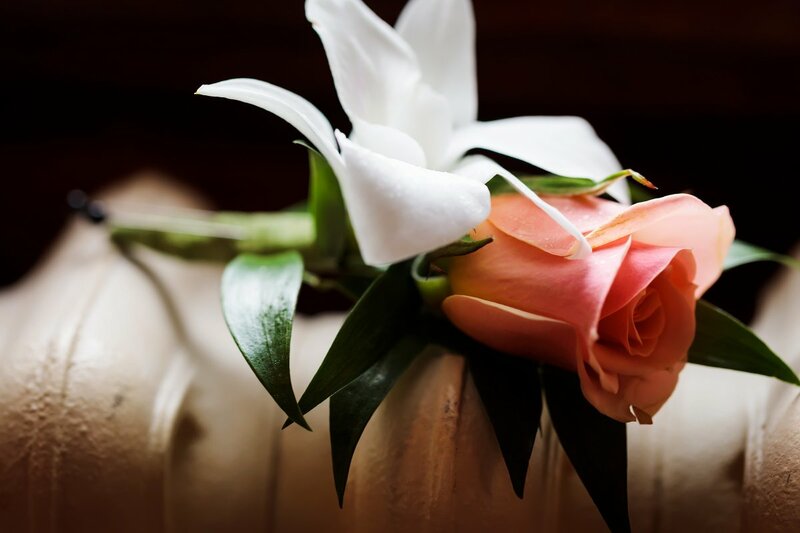 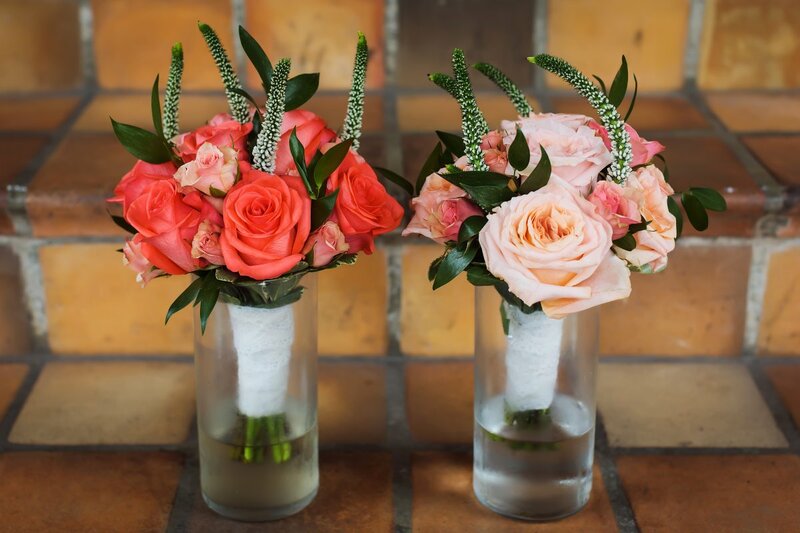 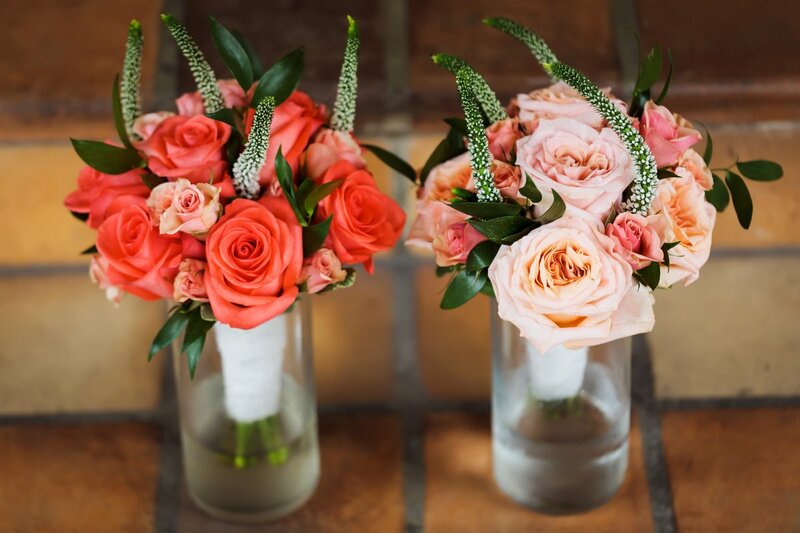 The bridesmaids’ bouquets were hand-tied creations of shimmer roses, wow roses, coral spray roses, veronica flowers, and ruscus.